The workshop takes part in association with The International Urban Sketchers. 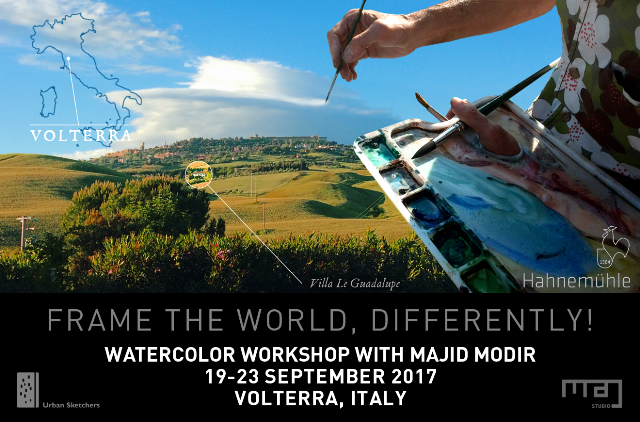 Welcome to a creative workshop in the heart of Tuscany, Volterra. 5 days with drawing and painting in good company, learning watercolor technique and ways to achieve good compositions. Meanwhile meeting interesting people and taking the pulse of the Italian lifestyle, eating and drinking Tuscan delicacy, enjoying the harvest season in September and swimming in the Mediterranean. 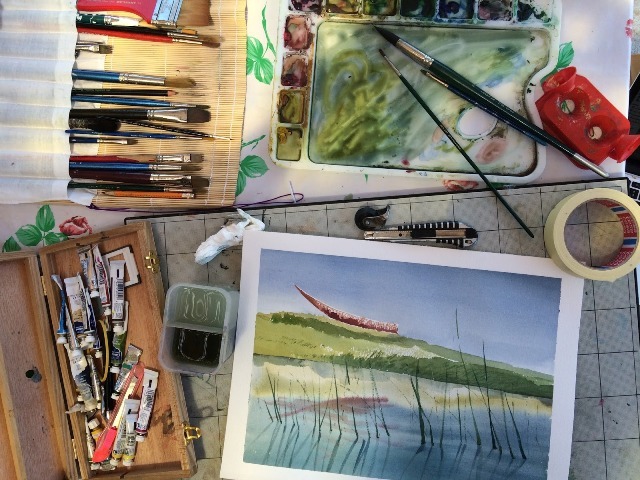 The workshop starts every day with lecture and demo followed by field trips to sketch and paint on location. Any level of experience is welcome. Supply list: A list will be provided for participants. Please apply latest by the end of August. Contact info@majstudio.se for information and a registration form.